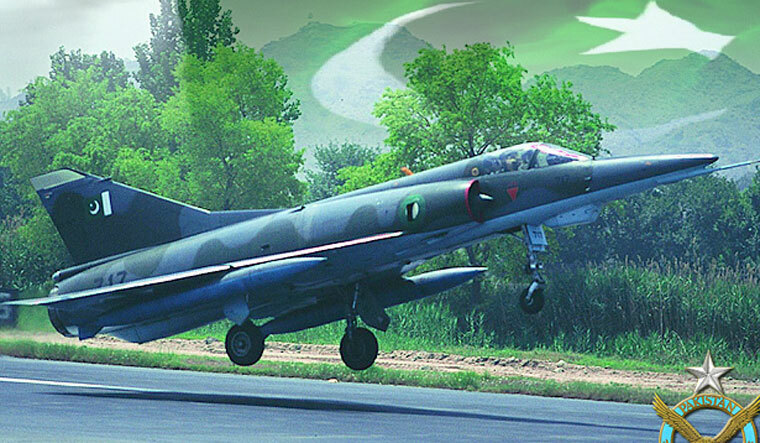 A day after the Indian Air Force struck the largest militant camp of terrorist group Jaish-e-Mohammed at Balakot in Khyber-Pakhtunkhwa province of Pakistan, three Pakistani jets violated the Indian air space and dropped bombs on the way out, reported news agency PTI. However, they were pushed back by Indian aircraft, a top official said. Pakistani jets entered the border areas of Nowshera sector in Jammu and Kashmir's Rajouri district, PTI quoted officials as saying. "The jets entered into Indian air space over Nowshera sector this morning," the official said. They were immediately pushed back by Indian jets on air patrol. Further details are awaited. "FLASH DC Rajouri Mr Aijaz just confirmed to me that the Pakistani jet fighters violated the Indian air space and dropped bombs at 4 deserted spots near LoC in Nadian, Laam Jhangar, Kerri in Rajouri district and Hamirpur area of Bhimber Galli in Poonch. A 9-year-old injured," tweeted independent journalist Ahmed Ali Fayyaz. At the same time, an IAF jet has crashed in Budgam district on Wednesday, killing at least one person, officials said. However, it is yet to be clear if the two incidents are related. The jet crashed in an open field near Garend Kalaan village in Budgam at 10.05 am, the officials said. The jet broke into two and caught fire immediately, the officials said, adding one body was seen near the site crash. The identity of the deceased could not be confirmed immediately, they said, adding the fate of the pilots was not known. Meanwhile, Srinagar, Jammu and Leh airports were on Wednesday closed for civilian air traffic shortly after an IAF jet crashed in Budgam district and amid escalation of cross-Line of Control shelling between the armies of India and Pakistan. "The civilian air traffic has been suspended temporarily in view of the emergency," said an official of the Airport Authority of India. While the official did not specify the nature of the emergency, it is believed the step was taken in view of an IAF jet crashing in Budgam district this morning.